Strong track record of achievement in Leadership and Organisational development. Quality, performance and financial improvement and turnaround. Leading strategic service redesign and remodelling. Transformational change management, including lean transformation. Developing high performing teams and Boards. Developing and engaging clinical and non-clinical leaders. Board and organisational governance, audit and risk management. Expanding services and the business base. Financial discipline and estate development. 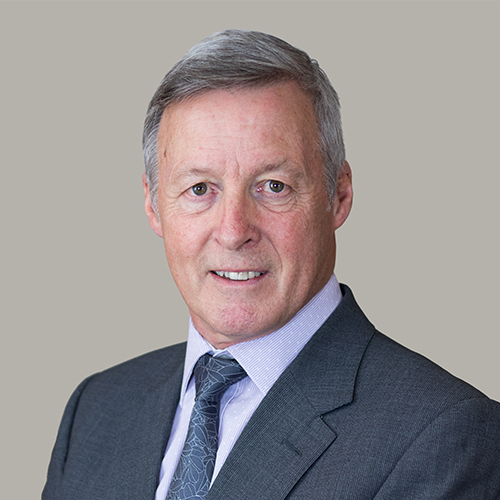 Peter started his career in financial management in Local Government before moving to Mersey Regional Health Authority in 1980. He held posts as Deputy Regional Treasurer, District Treasurer for St.Helens & Knowsley Health Authority and Director of Finance at St.Helens & Knowsley Hospitals Trust before becoming Chief Executive of Liverpool Women’s Hospital for six years. Peter then led for 12 years one of the highest performing NHS Foundation Trusts in England and one of the very first ten Foundation Trusts to be established. An award-winning Trust, the Countess of Chester NHSFT was a finalist in the Health Service Journal Acute Healthcare Organisation of the Year Award in 2005 and 2010 and winner of the Lean Healthcare Academy Project of the Year and People’s Choice Awards in 2010. At Shrewsbury & Telford Peter embarked a historically challenged NHS Trust on a journey of transformation and modernisation from a poorly performing organisation with a poor reputation and low levels of staff engagement to one with significantly improved underlying performance, quality, and staff engagement building a strong leadership and management capability across the Trust. He initiated a major strategic review of the Trust in partnership with local CCGs and other healthcare providers, to produce a sustainable clinical, financial and operational model for the future. Peter led both Trusts to achieve national recognition as one of the CHKS Top40 Hospitals with excellent clinical and quality outcomes and clinical efficiency for 16 consecutive years overall. Peter joined Unique Health Solutions on retiring from substantive NHS roles in mid 2015. He was then asked by Monitor/NHSI to lead the recovery of Sherwood Forest Hospitals NHS Foundation Trust following a poor CQC report which rated the Trust Inadequate and to prepare the Trust for merger with a large Teaching Hospital. Peter initiated and led a highly successful quality improvement and organisational recovery programme. Following a positive CQC re-inspection in mid 2016 the Trust was rated Good on Safety and Caring and has been removed from Special Measures which it had entered in 2013. The Trust is one of the top performing Trusts in the country for A & E and other operational performance, bettered its control total for 2016/17, and improved staff engagement from below to above national average. Sherwood can look forward to a very positive future as a stand alone FT and is now an award winning Trust having recently received a CHKS Top40 Hospitals Award and won an HSJ Award for Urgent, Emergency Care & Trauma Care. Since leaving Sherwood Peter has supported delivery of the FIP2 Programme at Hillingdon Hospitals NHS FT and is currently leading the financial improvement programme at UCLH. Peter was elected a Board member (Trustee) of NHS Providers and a member of their Finance & General Purpose Committee from 2013 to May 2015.He was previously a member of the NHS North West Leadership Academy Board and has held Non-Executive roles on the Shropshire University Advisory Board and Chester University Business School Advisory Council. Peter is passionate about creating strong and sustainable leadership teams and organisations achieving high levels of quality, operational and financial performance through actively engaging staff on the improvement journey.